Eastside Collision is Manitoba’s largest independently owned body shop, with more than 20 i-CAR Gold Class professionals and over 30,000 sq. feet to serve you. We have 40 years of experience, a state of the art facility, 3 down draft spray booths and are Autopac & OEM certified. We handle major repairs for all makes and models – from family “daily drivers” to luxury vehicles and sports cars. We offer a customer satisfaction guarantee on every job, from small repairs to complete rebuilds. For innovative solutions to your major repairs, ask us for a free estimate. Eastside Collision is recognized by the Canadian Certified Collision Care Program. Leading automakers work rely on the Assured Performance Collision Care program to certify and recognize collision repair providers with the right tools, equipment, training and facilities to ensure the next generation of vehicles are properly and safely repaired. These requirements are essential to repair vehicles to manufacturer specifications, and help ensure the fit, finish, durability, value and safety of the vehicle. Eastside Collision frame repairs division uses two CAR-O-LINER and one Celette / Global Jig computerized frame measuring and straightening equipment to repair vehicle frame damage. Proper structural repairs are critical today, because the stiffness and crushability of a vehicle’s frame interacts with the safety systems used to deploy the air bags. If the structure is altered, an air bag can deploy early or late, either of which could result in greater injury or even death. 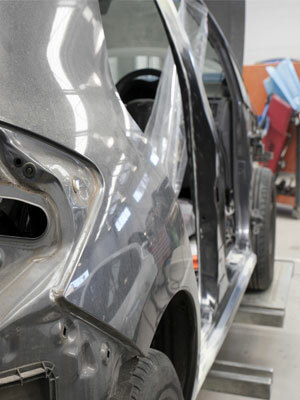 For this reason and others, restoring a vehicle to its proper pre-accident condition is critical to the repair process. We’ve always invested in the proper equipment to ensure this is the case. Our highly trained professional team will work with you to ensure you understand the needs and implications of your vehicle repairs, and will keep in touch along the way so there are no surprises. Eastside Collision's Glass Repair Division will take care of all your glass repair and replacement needs. From small stone chips that require quick repair, to collision-damaged windshields that need replacing, we guarantee it will be done right the first time, with the quickest possible turnaround time. If you carry a minimum of a $300.00 deductible, you may qualify to have your stone chip repaired free of charge, eliminating the need for windshield replacement. Whatever your needs, we are dedicated to keeping your life moving. We offer a free same-size courtesy vehicle to all collision customers, and even offer vehicle pick-up and drop-off, for your convenience. If you have any questions or concerns, don’t hesitate to ask. Our highly trained professional technicians will take the time to explain our process in clear terms you can understand, and will keep you updated along the way so there are no surprises. Eastside Collision's Supercenter is a complete, full-service mechanical repair facility that handles everything from oil changes & brake repairs to front end alignments and pre-purchase vehicle inspections. This is a CAA approved repair facility, meaning we passed, and continue to pass, CAA's inspection for staff qualifications, standards of work, cleanliness, environmental responsibility and customer satisfaction. 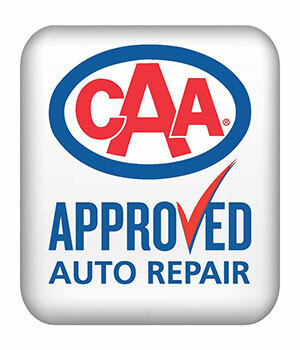 As well, CAA Members earn 3% cash back on any private mechanical repairs when they choose Eastside Collision. Call or visit our mechanical repair Supercenter today! Our staff members are happy to answer any questions you may have, and dedicated to making the process as easy for you as possible. Come and see how easy it can be! Restore your vehicle to pre-accident condition! Eastside Collision utilizes an automated paint matching and mixing station to ensure we get your vehicle looking the way it did before the repair. Our refinishing team looks after everything from small paint jobs to complete vehicle overhauls. We will match any vehicle hue – no matter how unique – and can even apply your new company colours. Experience the Eastside Collision customer satisfaction guaranteed. Eastside Collision utilizes the Paintless Dent Repair (PDR) technique, also known as "Paintless Dent Removal", to removing minor dents and dings to your vehicle. This MPI-approved repair process is used for the repair of hail damage, door dings, minor body creases, and minor bumper indentations. Call or visit Eastside Collision to see how we can help restore your vehicle to pre-accident condition. 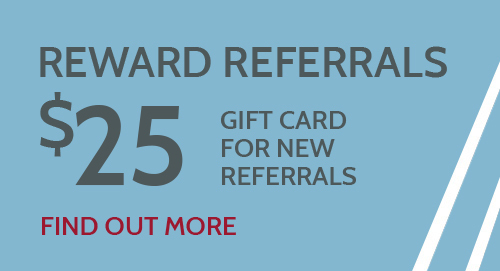 Our customer satisfaction guarantee ensures your cosmetic and mechanical repairs are done quickly, correctly and safely the first time, while our industry-leading customer convenience services help to keep your life moving.